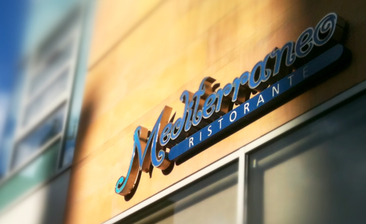 Situated in the vibrant Merchant City of Glasgow, Mediterraneo is more than a restaurant. 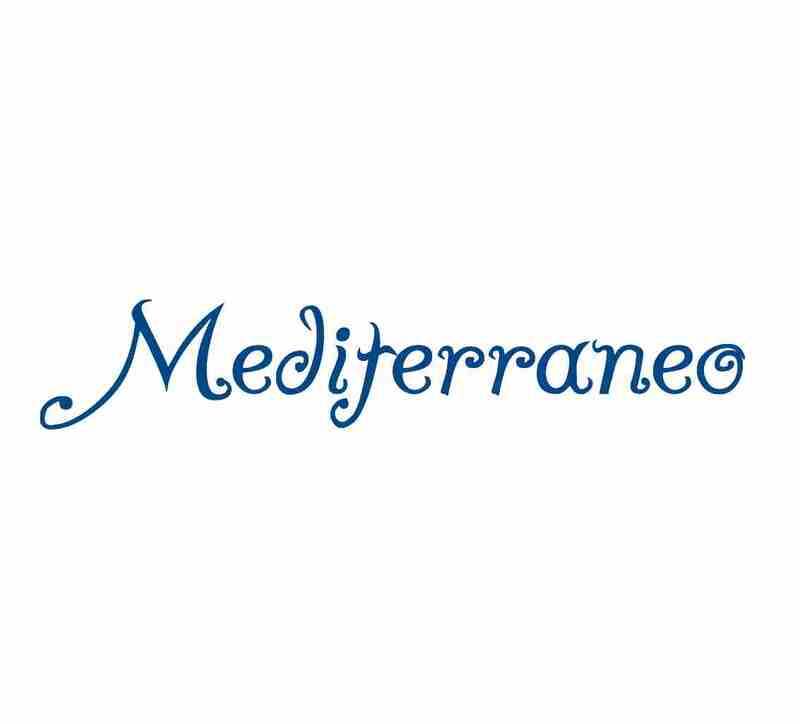 Mediterraneo Glasgow provides a restaurant, pizzeria and champagne bar which reflects the true Mediterranean culture with a superior menu and dining experience to match. Menus specialise in simply prepared fresh fish and seafood sourced from Scottish waters, as well as locally produced meat and poultry. Accommodating the ground floor of a beautifully renovated Victorian building on Ingram Street in Glasgow and surrounded by many historical and listed buildings , Mediterraneo is contemporary yet traditional with a bespoke design including floor to ceiling glass windows and high quality interior furnishings throughout. 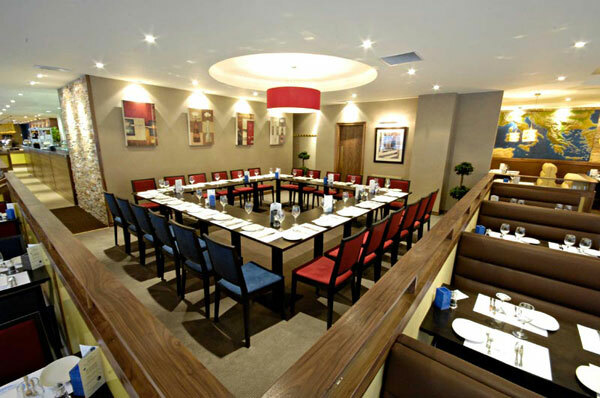 The main atmospheric restaurant offers the finest Mediterranean and European cuisine serving antipasti, seafood platters, gourmet pizzas and pastas, to traditional meals including Scottish fillet of beef or loin of lamb. We cater for all dining needs from light lunches, pre-theatre quick bites and full evening dinners, to private functions for small or large groups. Lovely Shoppers Lunch at Mediterraneo with my sister. Great food & great value. Staff understood we were in no hurry & wanted a good old catch-up so we were not remotely rushed. Thank you! Very goid value. Lunch menu gives a reaaly varied choice. Thank you so much for the lovely window table. Recieved a gift card as a Christmas gift, really happy with our meal and great cocktails too. Staff were very friendly, polite and courteous. Food tasty and good value for money. Excellent food and great service. Will definitely be back. The food was lovely and very reasonably priced. Great food. Great service and fabulous atmosphere. Polaroid IT get together- we had a fab night, food and drink good and great company. Relaxed atmosphere that doesn’t feel stiff, yet with food and drinks that has quality over quantity. Dining here is an experience. Absolutely recommend. Table we were at not enough space  . We were next to a serving hatch. Excellent service and meal highly recommend. Lovely lunch with friends today. Fab service and my risotto Verdi was to die for. I thought the food was excellent, especially for the price, and will be back often! 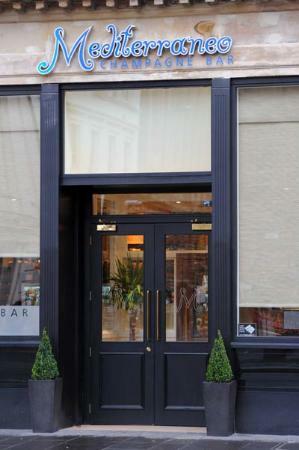 For fantastic value for money, service and wonderful food this is our restaurant of choice when meeting in Glasgow. 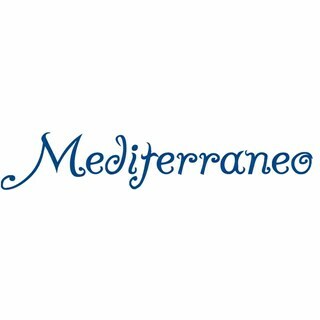 We have tried other places but still keep coming back to Mediterraneo. We have never been disappointed.